To install this item on your current wheel requires some special equipment to press the tire over the wheel. Be sure to contact us, or your local Lawn & Garden Service Center if they are set up to install Semi-Pneumatic tires on your current air filled wheels. We do offer aftermarket replacement tire, wheel, bearing and spanner. Contact us we can help you. 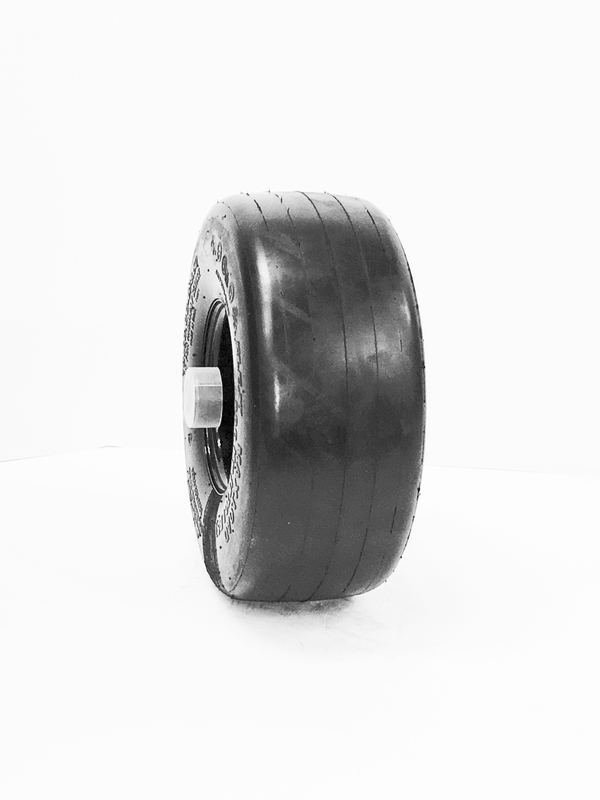 We will soon have more detail for you on our site of our tire and wheel assemblies. Semi-pneumatic tires are Flat Free. Since they don’t go flat, they are unable to give the same comfort as a air filled tire. The tires are made of solid rubber with a hollow air-pocket through the center of the tire. The air pocket is built into these molded tires. Unlike air filled tires, there is no need for tubes or valve stems. The air-pocket helps keep the price point down and makes the tires lighter in weight than a completely solid tire. 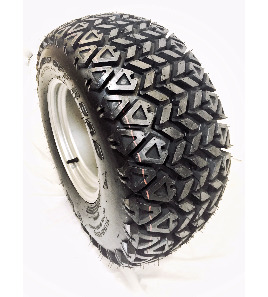 Semi-pneumatic tires are less expensive than polyurethane tires and are best used on solid flat surfaces that are free from rocks and other debris that might stop a stiff wheel. 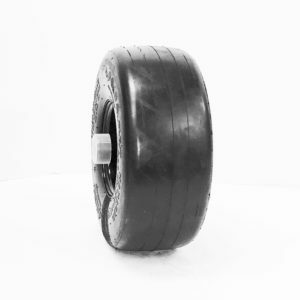 Semi-pneumatic tires are often used on applications such as industrial hand trucks, lawn mowers, and other small lawn and garden equipment where tire cushion and performance is not as critical.